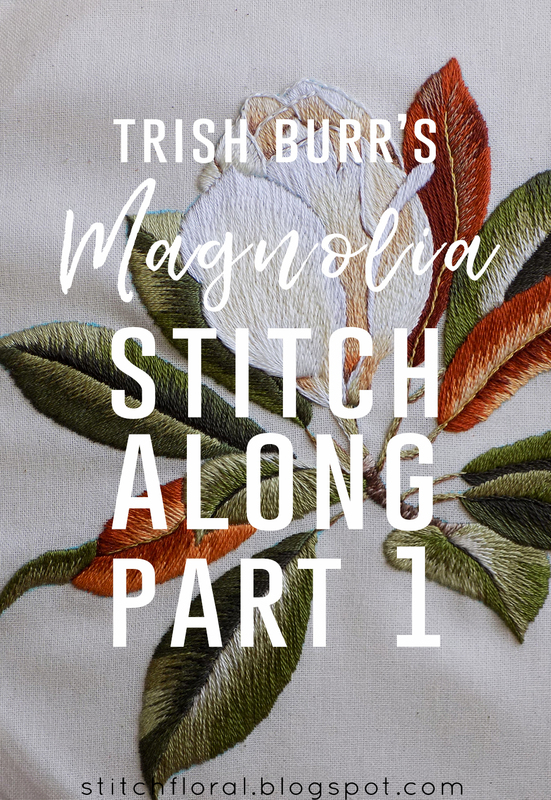 Ready for the first part of the Stitch Along?? I'm thrilled! Let's get it! 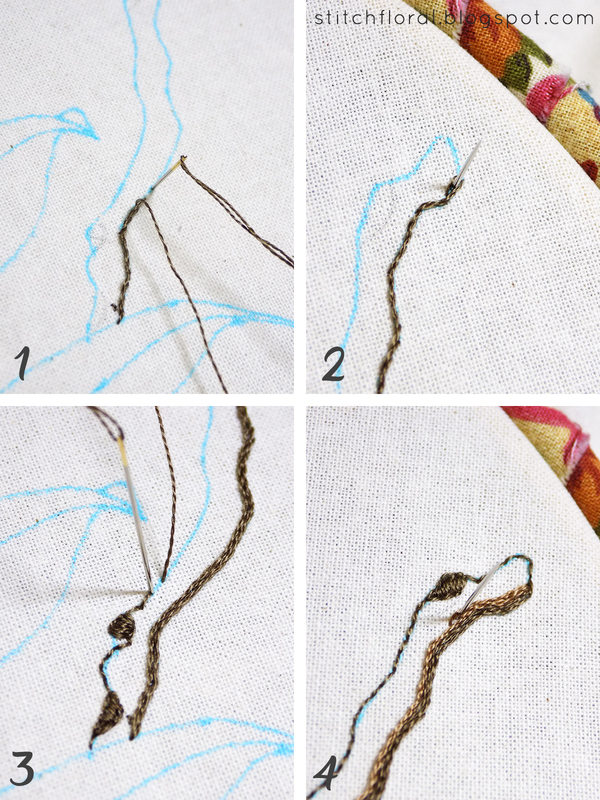 Whenever I start an important piece of embroidery, I experience a short period of anxiety and nervousness. This time, after transferring the pattern, gathering all the materials around me and setting everything up, I was still so anxious that I had to go and have tea with something sweet before I made the first stitch. None if us is Trish Burr. 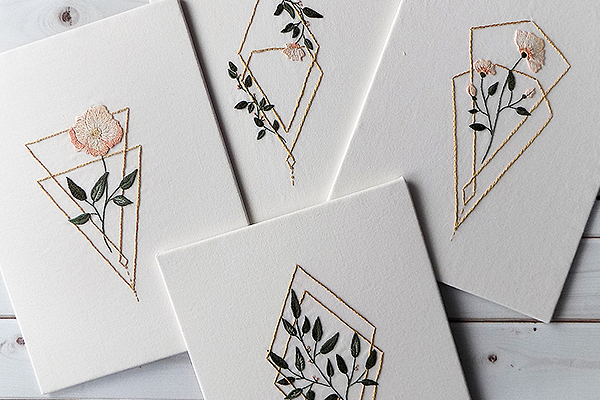 Our end results will inevitably look different from the original work, and that's normal. More than that, if you already took the time to check out the instructions and the pattern, you know that they leave plenty of space for personal interpretation and imporovisation. 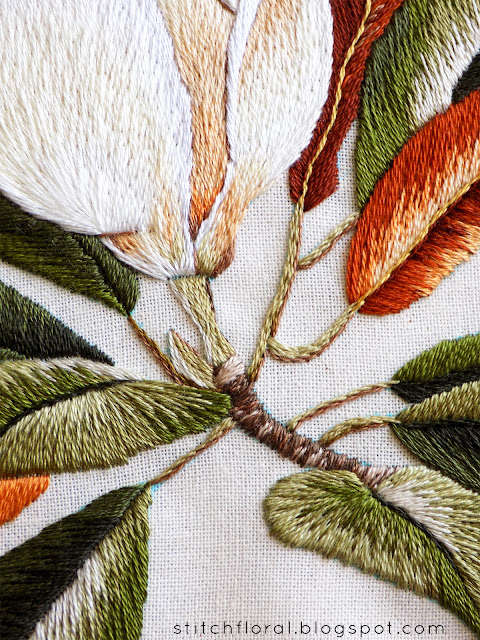 The needlepainting in this design is often done in “patches” of colors, but the areas and exact choice of thread are not marked on the pattern – you need to figure it out yourself by looking closely at the pictures of the original. 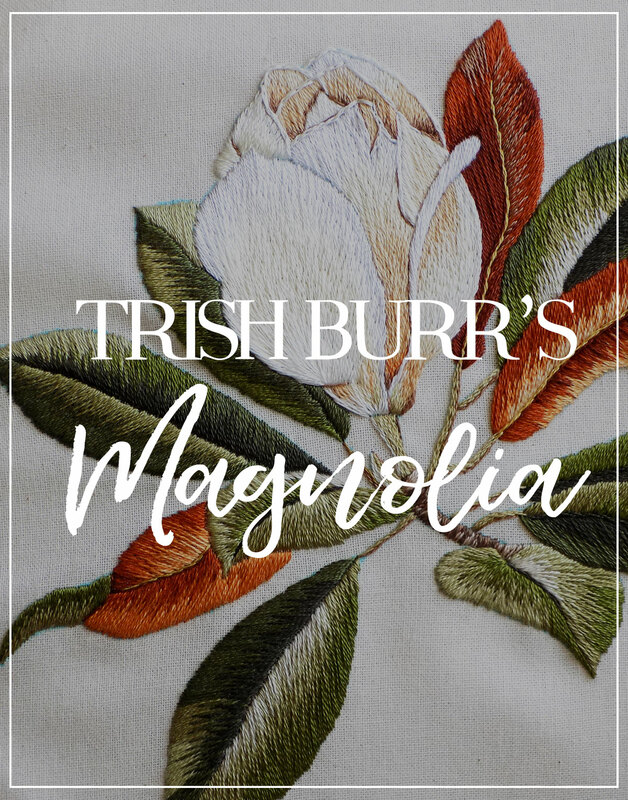 Another thing I would like you to remember is that I am only showing my process of working it (and I am not Trish Burr, either) which is already a bit different form the origianl (inevitably). You don't have to follow my way of working it with precision. You can, however, take my insight into consideration and adjust the things to how you see them. 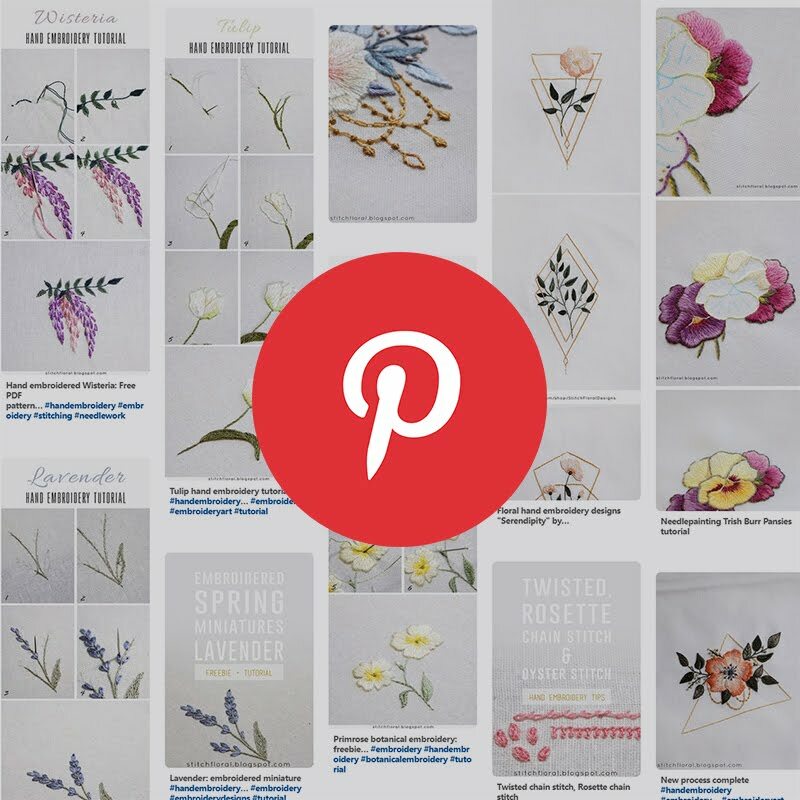 Lastly, I would like to tell you that 66 people applied for the Stitch Along and everyone has different level of skills, from beginners to seasoned needlepainters. So, when we share the results we are likely to see a lot of diversity, which I think is great! 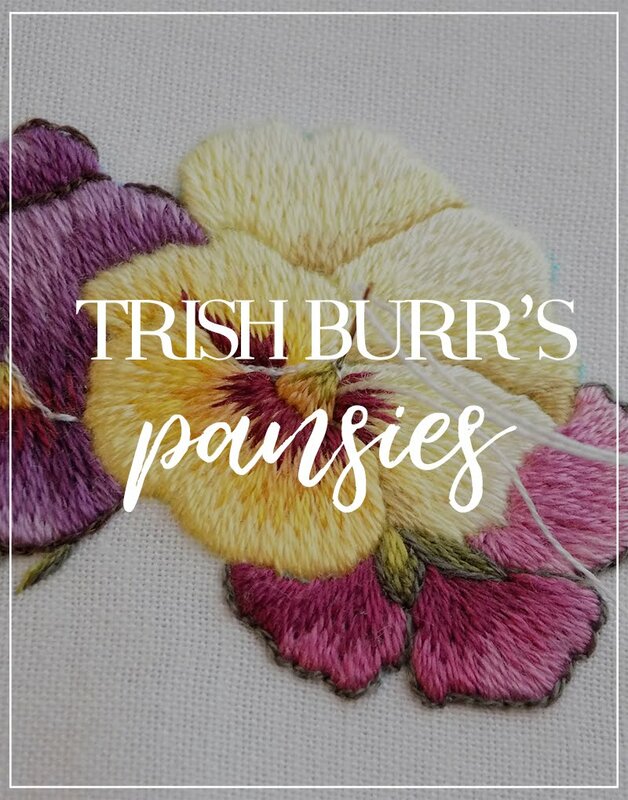 My place will be in the middle between these two groups, as I am not a beginner, but this is only my second time working Trish Burr's design (first was Pansies), and first time working a needlepainting design of this scale. Part 5 (June 18): Red leaves and last touches. So, shall we start now?? Every area here is worked using 1 strand of floss. First, let's work the right part of the branch. 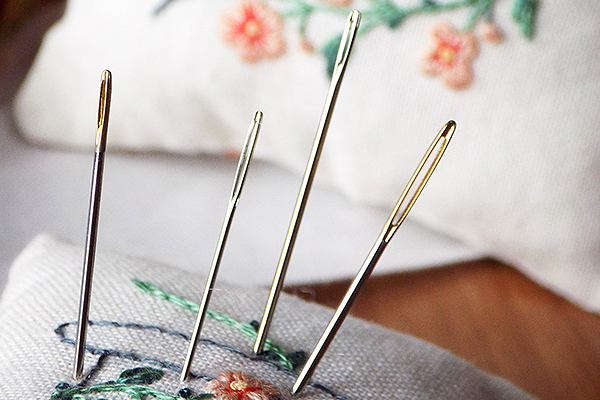 For this, you need to know stem stitch, back stitch, and satin stitch. 1. 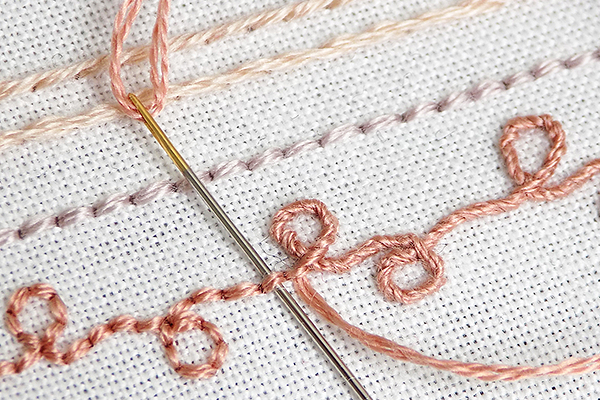 Work a row of stem stitch along the bottom line of the branch in thread K, going upwards. 3. 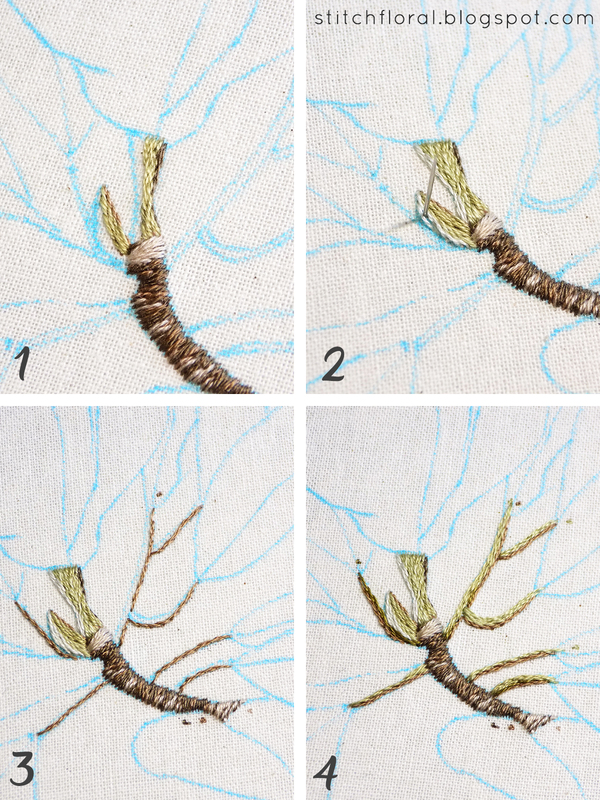 When you reach the bottom, start outlining the edge of the branch with back stitch, filling in the small dark spaces scattered there using satin stitch. They are not marked on the pattern, so you have to check closely the original or my example – I will leave a more detailed picture below. 4. 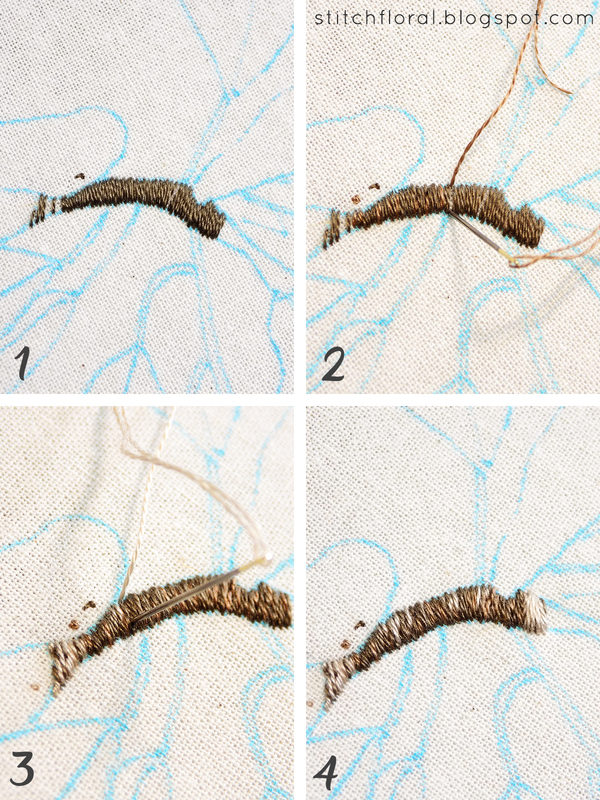 Next, fill the empty space with the rows of stem stitching using thread J, I and H. Going from the darker one to the lighter one. I also used threads J and K to make some random scratches. Just simple straight stitches here and there in a random order. 2. Throwing in thread J randomly here and there. Just straight stitches. 3. Now adding the lightest one, thread H.
4. Sometimes the stitches are not full length – you can make a half stitch piercing right through the one below. 1. I don't know how to call this part of the flower, somebody help me. 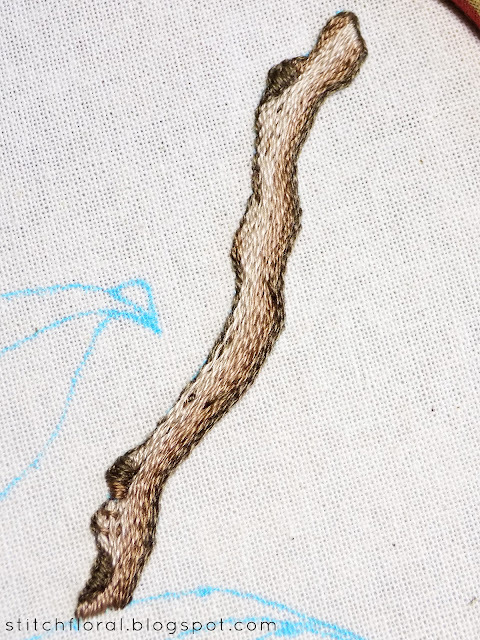 😅 Anyway, there are little shadows in the right parts of the areas worked with thread K and J and the green part is worked in M. Stem stitch everywhere. 2. The highlight is worked in thread A, again in stem stitch. 3. For the stems, the shadows are worked in stem stitch, thread J.
I might actually add some finishing touches later with thread N.
Make sure to share your impressions and progress below in the comments section, send me a letter or post it on Instagram. I started hashtag #magnoliastitchalong so use it to show your work (also tag me so that I don't miss it)! 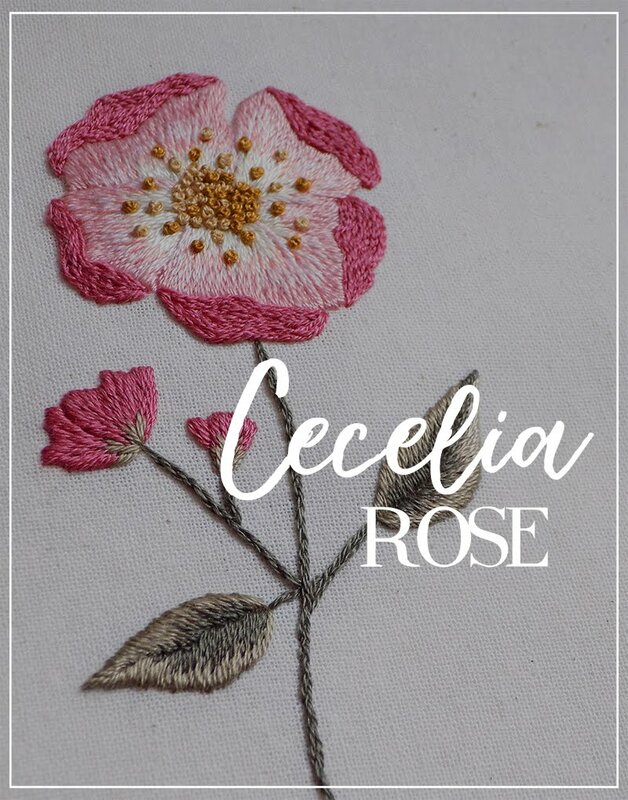 April Round-up & new Stitch Along heads-up!